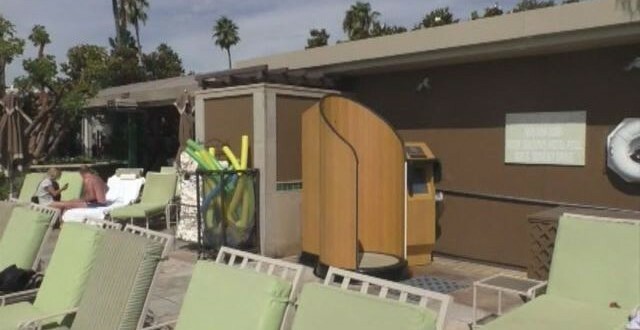 Sunscreen Machine Takes Guesswork Out Of Applying | [All Things Tanning] For Tan Fans! LOS ANGELES, CA (KABC/NNS) – Ever wondered why you get sunburned despite using sunscreen? There may be a new solution through an innovative machine. After enduring constant sunburns, Kristen McClellan developed a signature product called SnappyScreen, which applies an even amount of sunscreen through a press of a button. 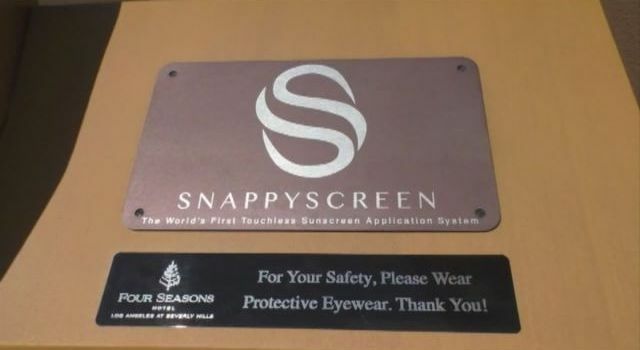 Users of SnappyScreen simply select their height and preferred level of SPF protection (from 15 to 40), apply eyewear, then step into a booth and rotate as a fine mist of the chosen SPF covers their skin. The device is even complimentary at certain hotels, like the Four Seasons. McClellan says she got the idea of creating a sunscreen machine through her sister. “My sister is the most horrible sunscreen applier in the whole world,” she explained. So she decided to help her sister and others like her with a new way to apply. Dermatologist Dr. Shirley Chi said she hopes it will catch on. “I would like to see it at a lot of events, like marathons, the beach, hotels, big parties that are outdoors,” Dr. Chi said. As with all sunscreens, you must wait 15 minutes for it to dry and absorb into the skin to be effective and you will need to reapply it after going in the water. Dr. Chi said the typical person will need a shot glass portion of sunscreen to cover their entire body. VIDEO: Full-Body Sunscreen Application Machine.